The state of New York and New York City will see a hefty settlement from FedEx in the amount of $35.3 million. The allegations against FedEx are compiled into three lawsuits that claim the company has shipped hundreds of thousands of untaxed cigarettes to New York residents for more than a decade. The current settlements will suffice that amount. The state of New York requires the price of cigarettes to cost at least $13 a pack. However, untaxed packs will undoubtedly cost much less. In a statement made Monday by New York State, Attorney General claims, for more than ten years the company FedEx has shipped hundreds of thousands of untaxed cigarettes to New York residents. 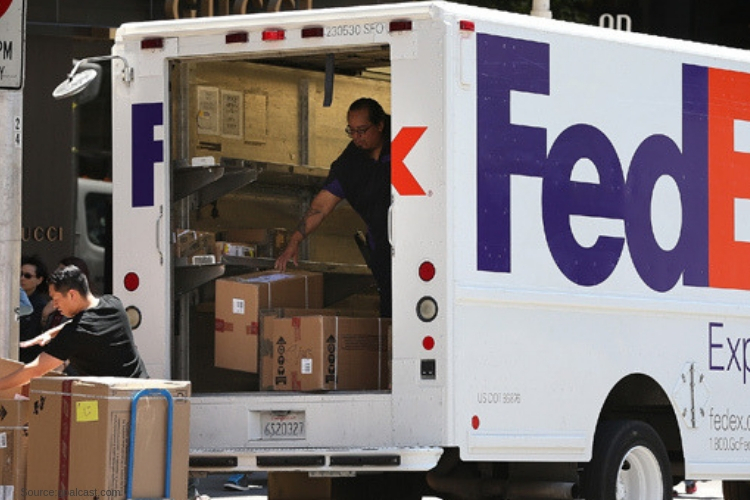 According to New York Attorney General Letitia James and City Corporation Counsel Zachary Carter, FedEx will be ordered to pay $35.5 in settlements to the state and city. In a statement to Business Insider, a FedEx spokesperson said the company has gathered, “a full release of claims against any FedEx entity” through the settlement. Any other claims have been dismissed. October brought forth the initial settlement from the ruling of US District Judge Edgardo Ramos in Manhattan. He ruled that the Memphis, Tennessee-based company had violated a federal anti-cigarette trafficking law and a 2006 agreement with the state of New York not to ship cigarettes to people’s homes. During an interview with news reporters, a spokesperson from the New York City law Department claims that FedEx has sold the cigarettes entirely through online stores and private sources, rather than physical locations. They also said the shipping Mongols is supposed to notify New York state when they found online cigarettes shoppers, but ignored that requirement entirely, and in fact, hid the online selling activity from the state and law enforcement. “On the few occasions that this information was shared with FedEx, evidence in the litigation confirmed that cooperation to be highly effective,” the FedEx spokesperson said. One company involved in the settlement was Cigarettes Direct to You, a website through which FedEx reportedly shipped untaxed cigarettes to residents, reports a testimony from the attorney general’s statement. FedEx is also required to cease almost all domestic tobacco shipments implement company-wide training and communication on tobacco shipments, and discipline employees who don’t comply. Along with the $35 million fees, the company must hire an independent counsel to watch the corporation’s compliance. The new law which took effect last summer, states that the number of New York City smokers have “sharply declined,” since. Under the law, cigarettes must cost at least $13 a pack- the highest in the country. Before the new law’s packs were under $10.50 and untaxed packs cost much less. The settlement is to schedule at the next court appearance.